Modernly is our new wedding website and online wedding manager that simplifies planning your destination wedding. 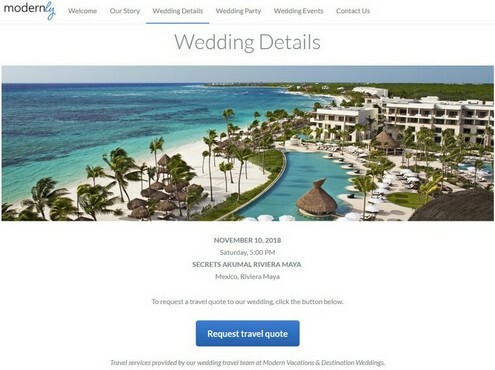 Modernly gives you the ability to not only create a beautiful wedding website, but also track your guests through the travel planning process. 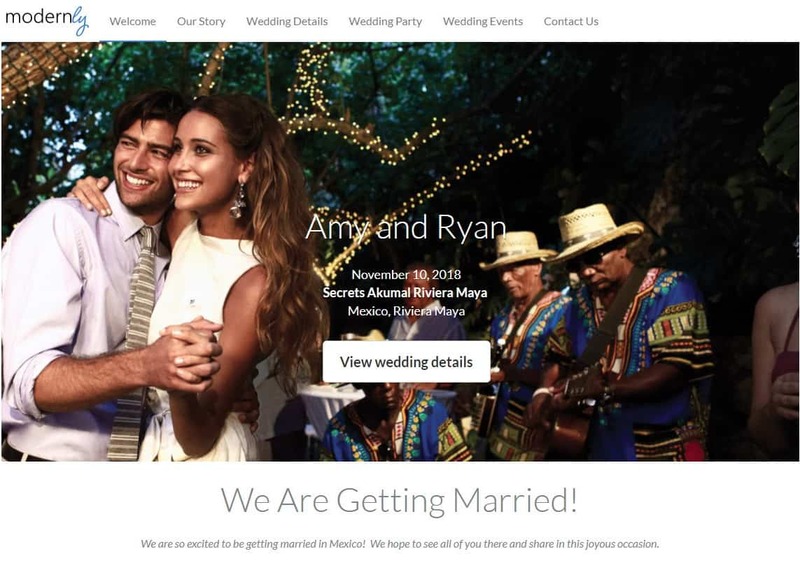 Create a beautiful wedding website and share the details of your destination wedding with your friends and family. Customize your wedding website with photos, stories, and important information regarding your wedding. 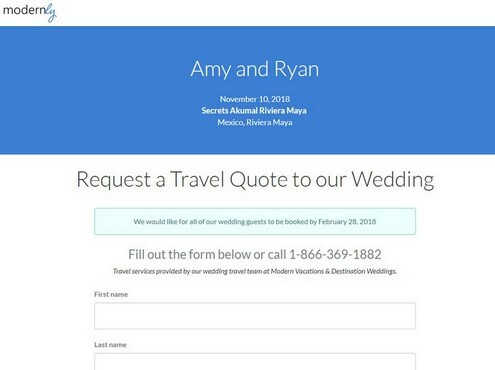 Your wedding guests can request travel quotes directly from your wedding website. Our travel specialists reach out to your guests to plan their travel arrangements to your wedding, while always keeping convenience & value in mind. 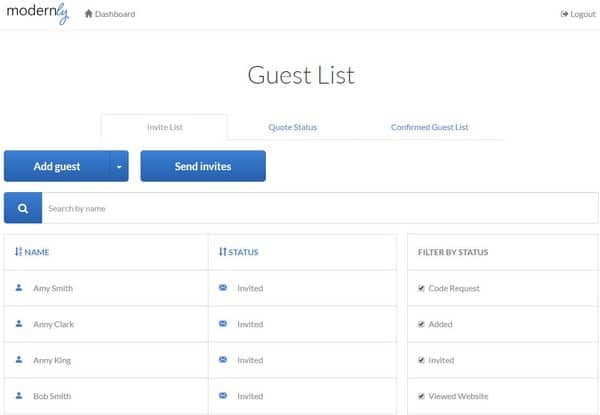 Modernly allows you to track your guest list and stay up-to-date on where your guests are in the travel planning process. See who has received travel quotes and who has confirmed their travel. 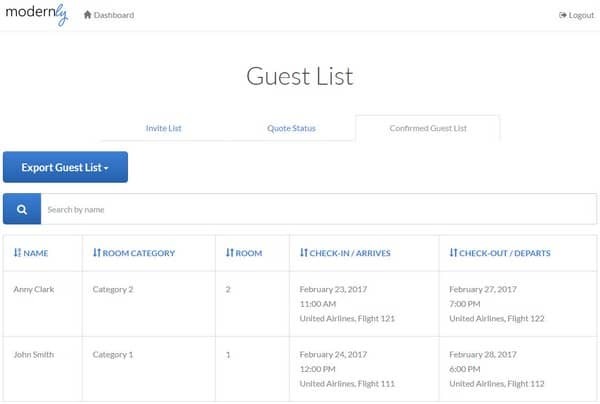 You can also see your guests’ travel itinerary, so that you know the exact time your guests are arriving in destination.